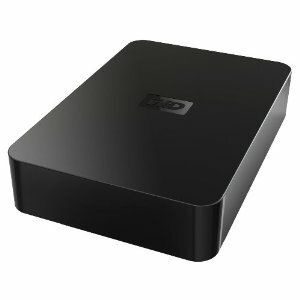 I've been wanting to use an external HD for backing up my computer(s) but I didn't want one that locks me into using one particular kind of software. In the past, I've used regular IDE drives in an external case, and backed up to them via USB cable. 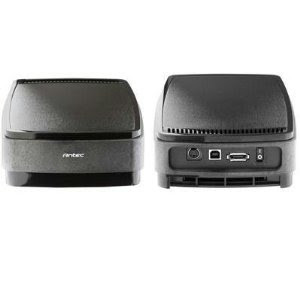 External Serial Advanced Technology Attachment or eSATA is an external interface for SATA technologies. It competes with FireWire 400 and universal serial bus (USB) 2.0 to provide fast data transfer speeds for external storage devices. Read the whole thing for the advantages, drawbacks, and other details. It sounds great to me. [...] I am a photographer too, so I have tons of Photos (about 160GB), Videos, Software, Movies and Documentaries. I was looking for a simple external hard drive without any backup software included, I am smart enough to do manual incremental backups with file tree structure intact (I use GOODSYNC to backup, its very simple and easy to use and free). I have looked at many many external HDDs and narrowed down to two models "Samsung Story 1TB - very good one too" and this one (I wanted it to be cheap too - got this for $85 on [...]). I did not go with other WD models because of their annoying Backup Software. Coming to the WD Elements 1TB: Its much smaller than I expected. It is dead silent, I had to touch it to convince myself that it was running, when I first turned it on. Its not too heavy either. The indicator light is placed at the rear, which is a very good thing (I find these LED's annoying, especially at night). After I did the first setup, I copied 383GB of data (931GB was total space). It took about 4hr 47min, speed varied between 20MBps to 37MBps. This is pretty good speed for USB 2.0. It was just a bit warm (my old segate hard drive would be very very hot for this amount of data transfer). I would recommend it to beginners or pros alike. I am very happy with this purchase! After about three months of heavy usage, it never gave up on me. Its still dead silent and works flawlessly. It never got even warm!! In the beginning GOODSYNC was free, later they made a paid version as it gained popularity.. I bought it from TigerDirect for [ ... ] and got [ ... ] cashback via [ ... ] ...awesome!! It doesn't do eSATA, so I would be stuck with USB transfer speeds. But it's TWO TBs instead of one. Decisions, decisions. Which party is better at job growth? Are you ready for "Wi-Fi Direct certified"?